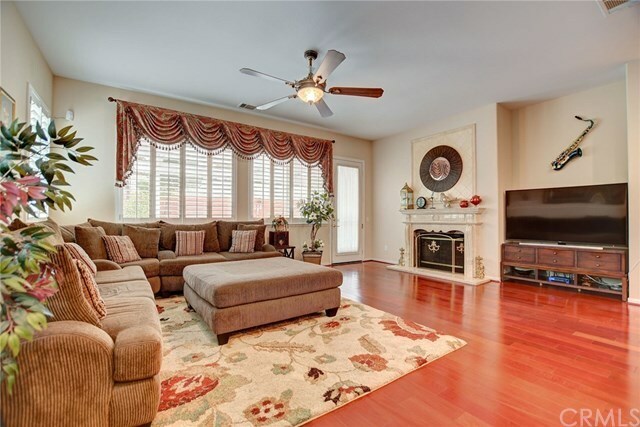 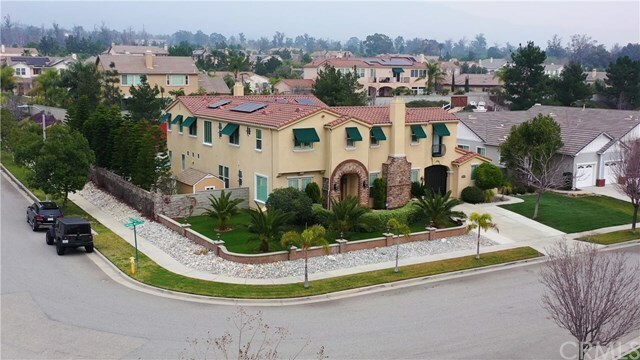 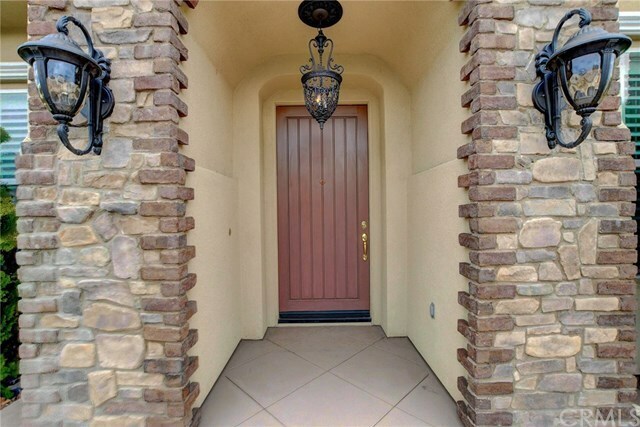 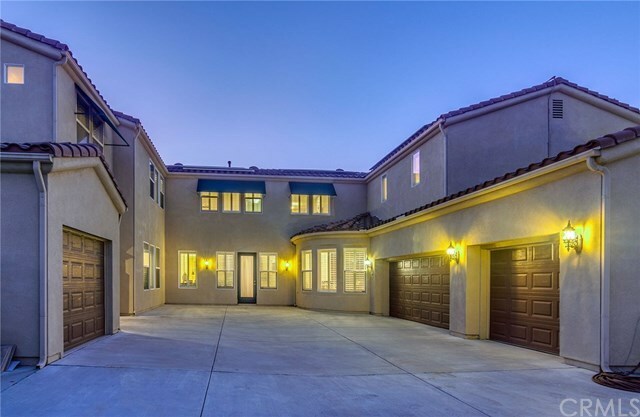 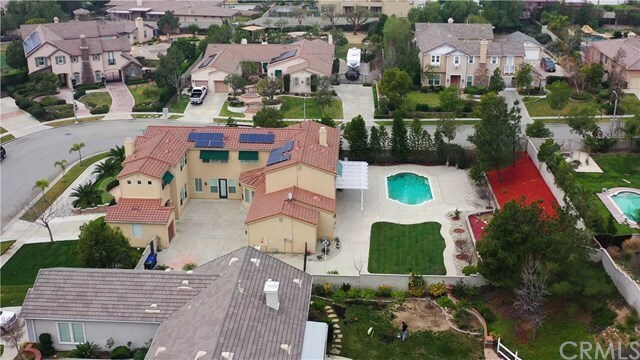 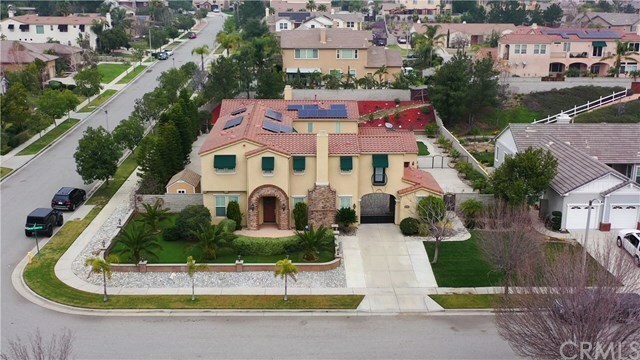 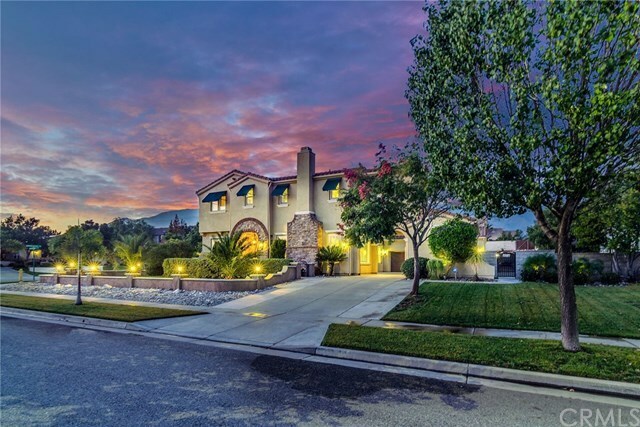 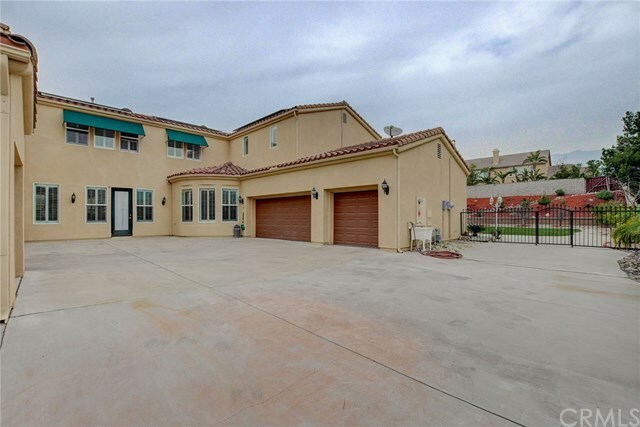 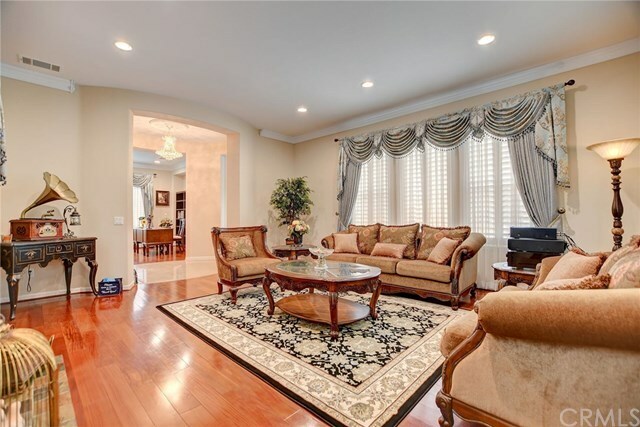 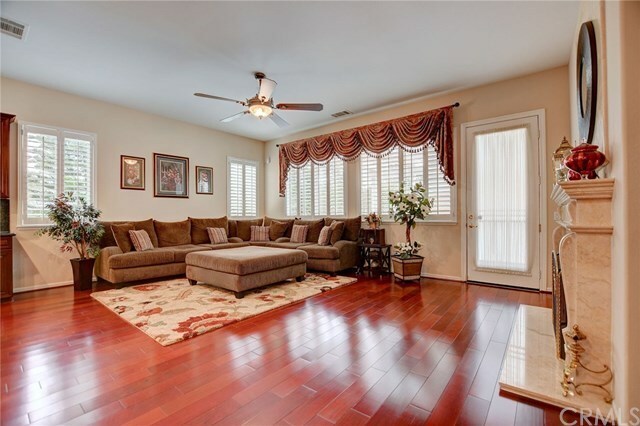 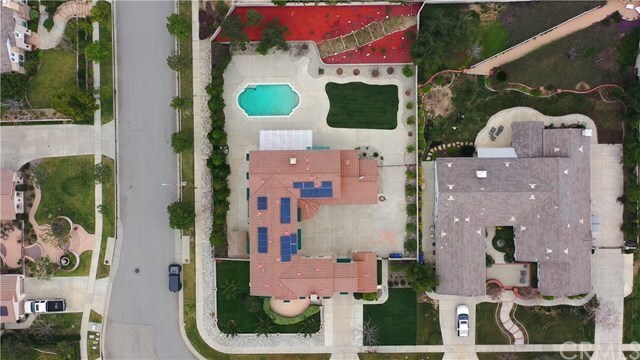 Elegant & spacious home w/sparkling pool, paid off solar panels & a great curb appeal featuring stone, stucco & brick, awnings & an electric iron gate leading you to your private motor court w/4 car garage. 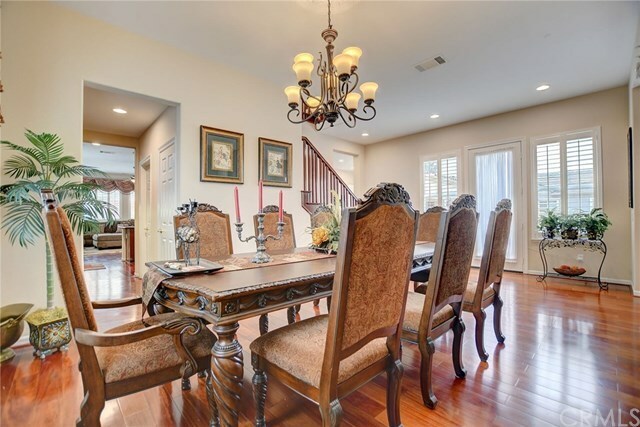 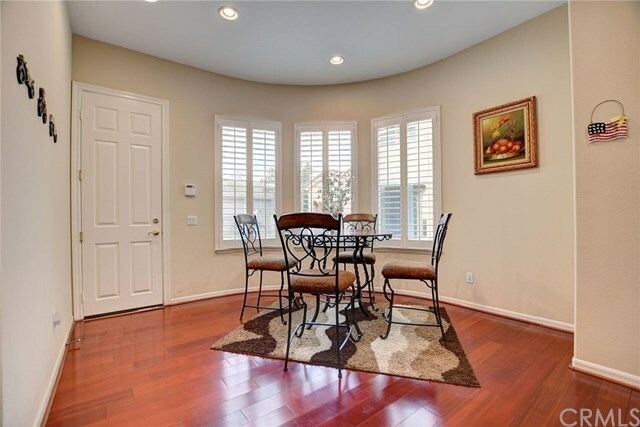 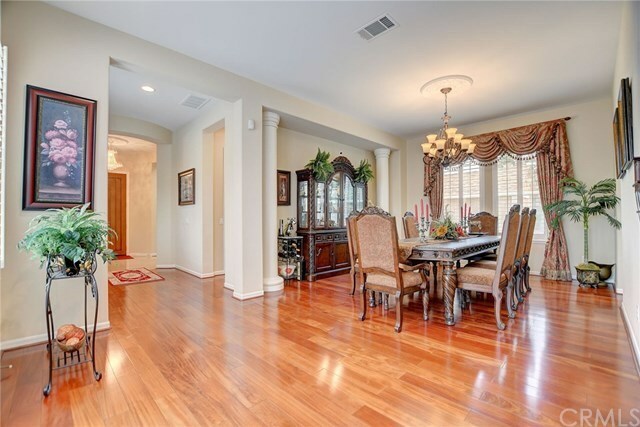 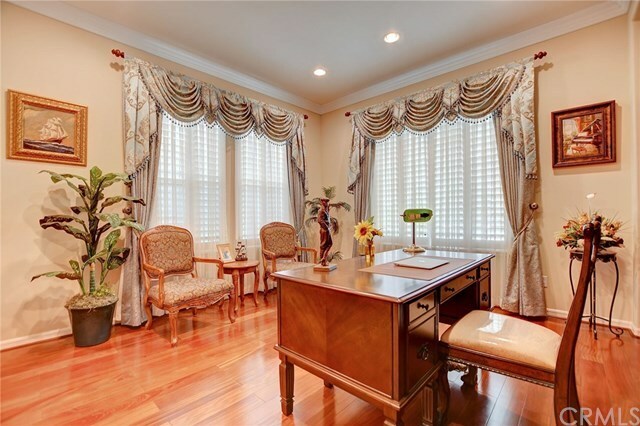 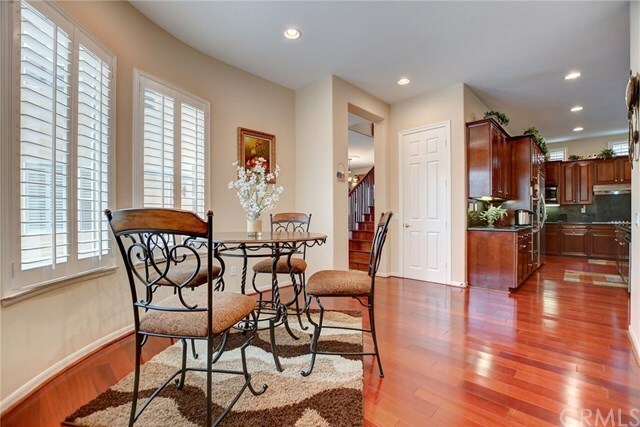 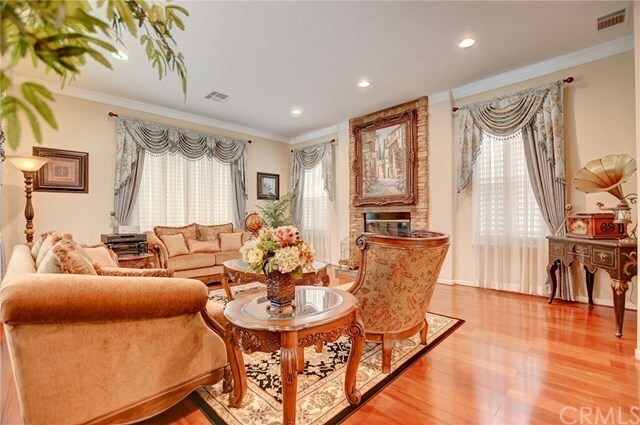 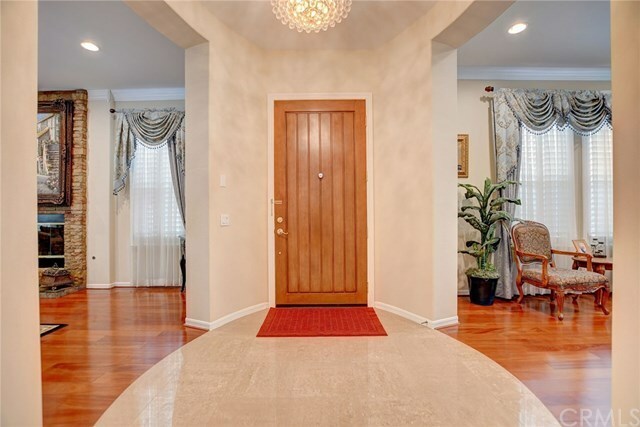 Enter the marble floored rotunda w/sparkling crystal chandelier & an office w/espresso colored built-in bookcase. 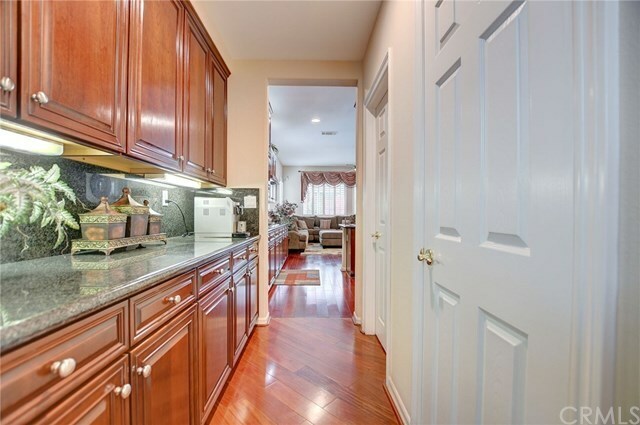 Next is the heart of the home- kitchen & familyroom. 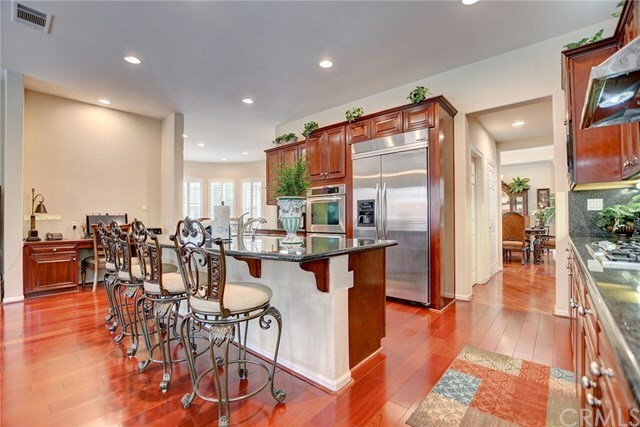 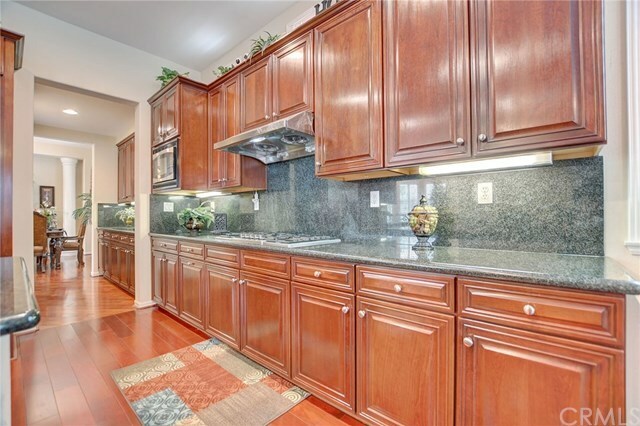 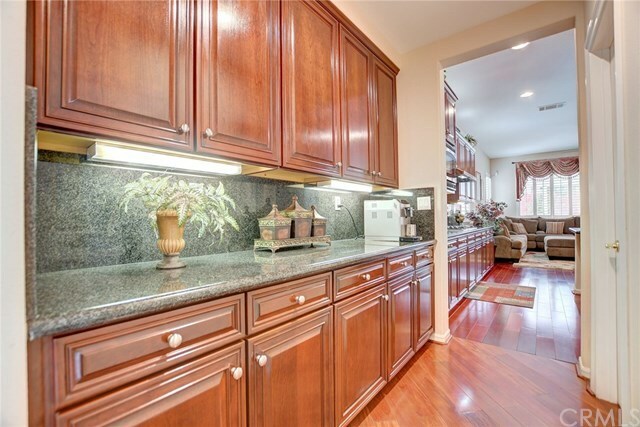 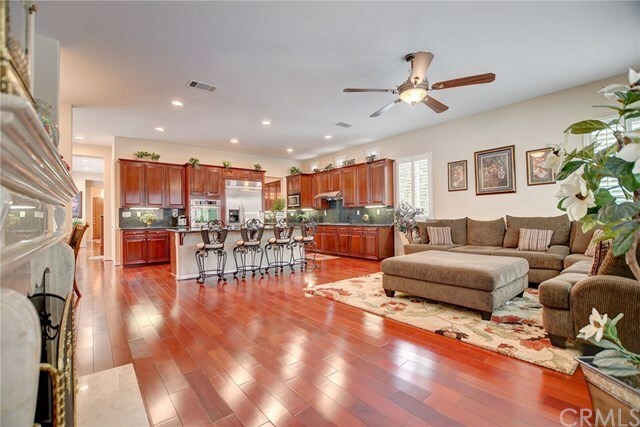 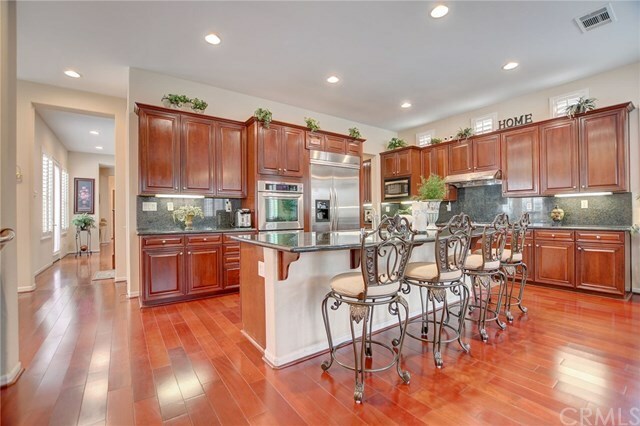 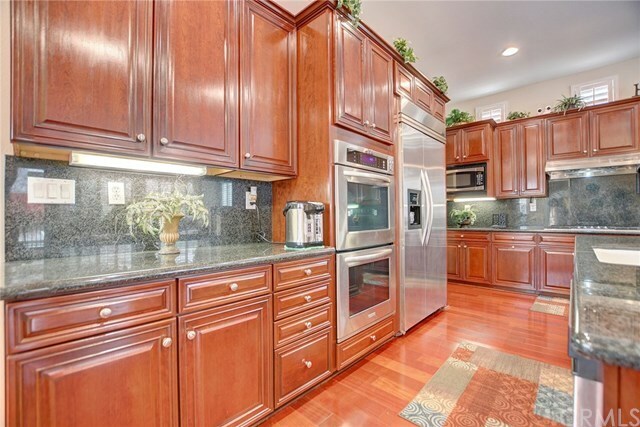 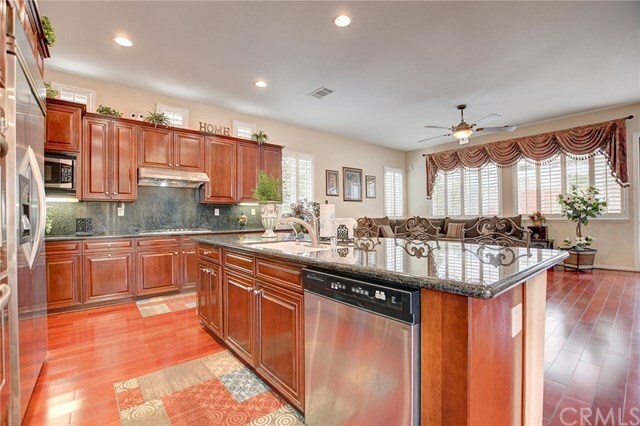 Dreamy kitchen w/mahogany cabinetry, stainless steel appliances, double ovens, microwave, dishwasher, 5 burner gas cook top, 2 pantries & a built-in desk. 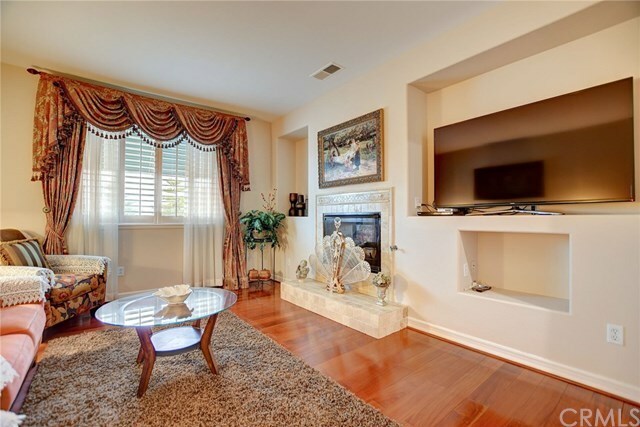 Family room has a gas fireplace w/custom marble surround & access to the backyard, making it a great space for entertaining. 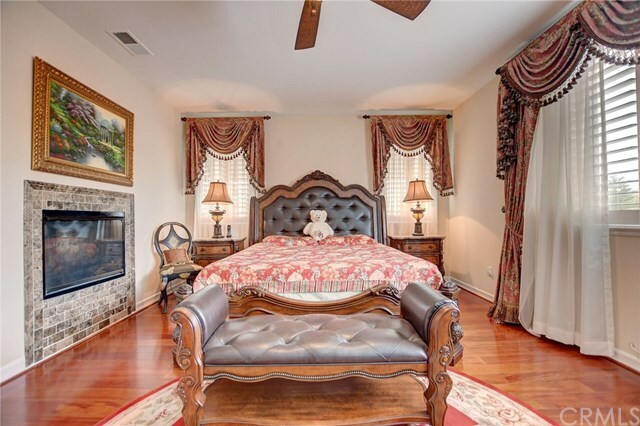 Overnight guests? 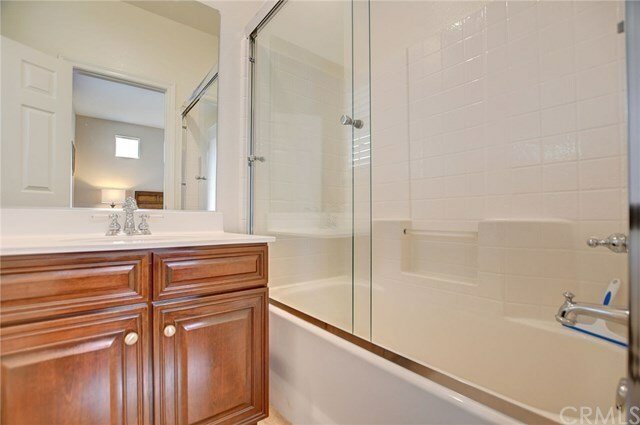 Downstairs bedroom w/En-suite Â¾ bath. 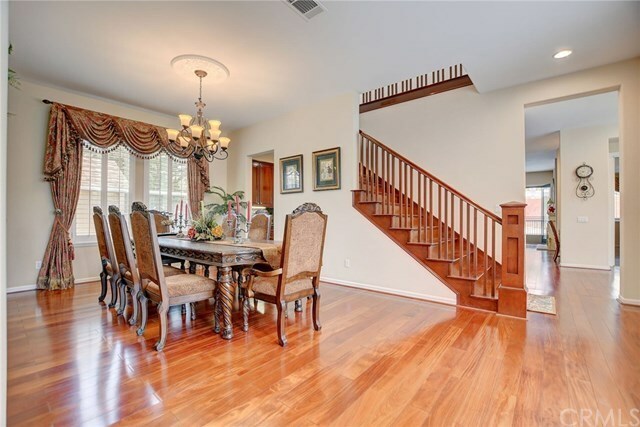 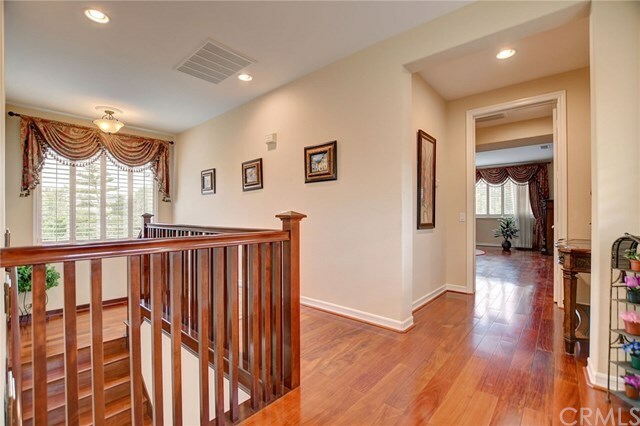 Climb the wooden staircase up to the private areas. 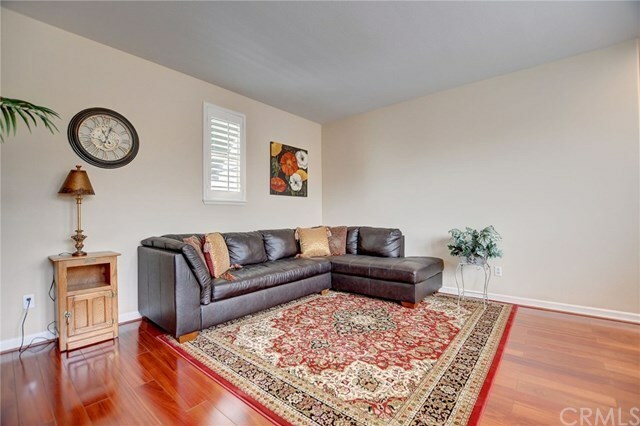 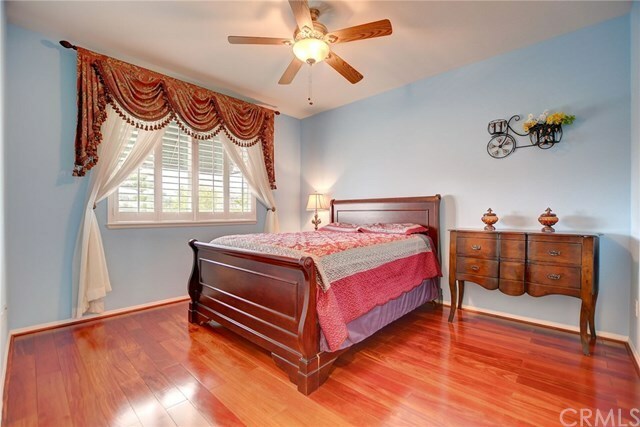 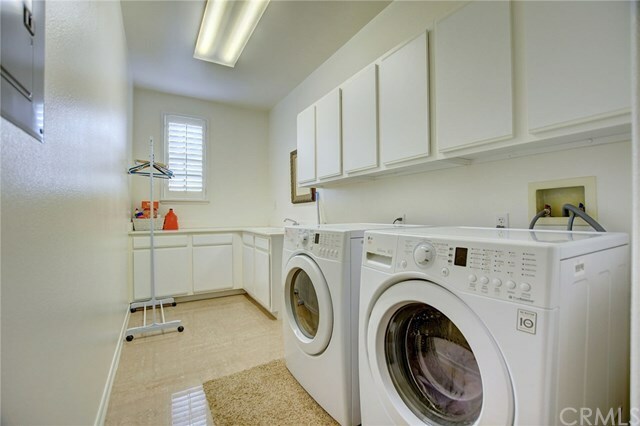 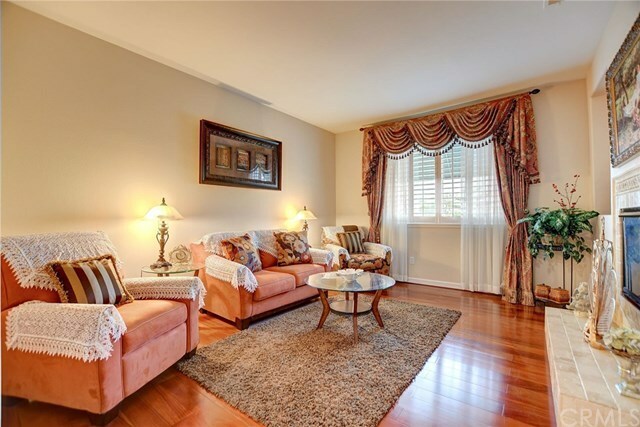 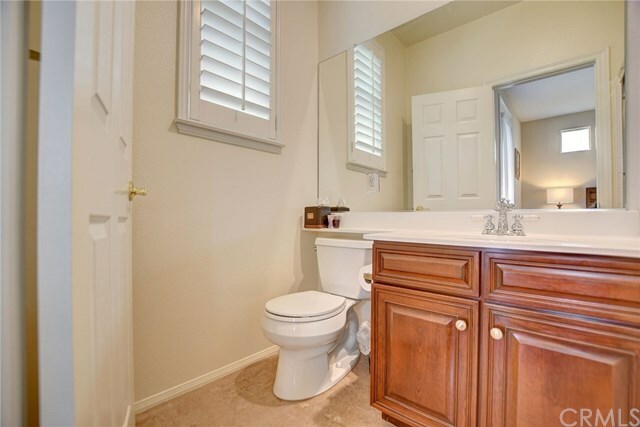 3 bedrooms each w/their own En-suite baths & convenient upstairs laundry room. 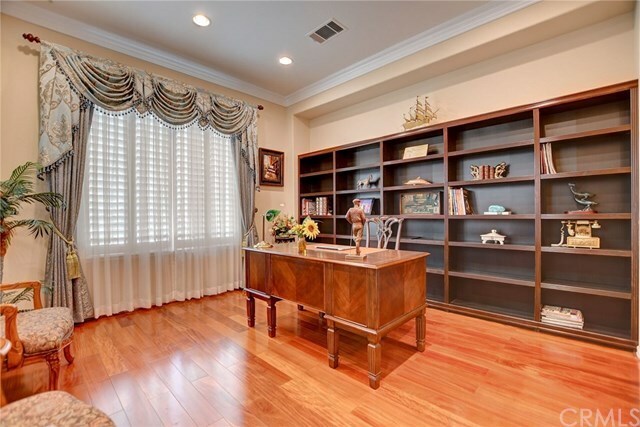 Multi-use loft area can be used as a game room, study area or TV watching room. 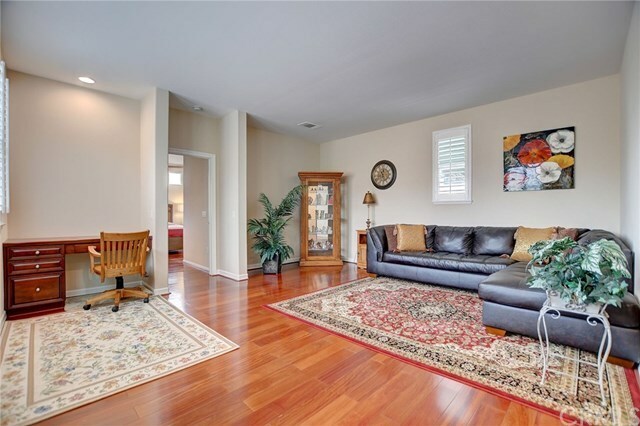 Experience luxury & let the stress slip away as you enter your Master Retreat (or private living room) w/2-sided gas fireplace shared w/Master Bedroom. 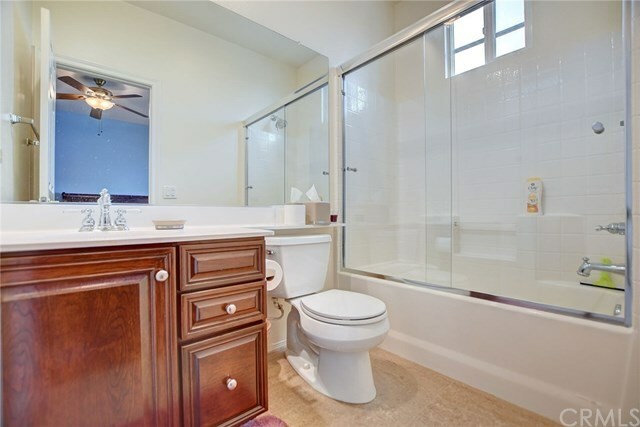 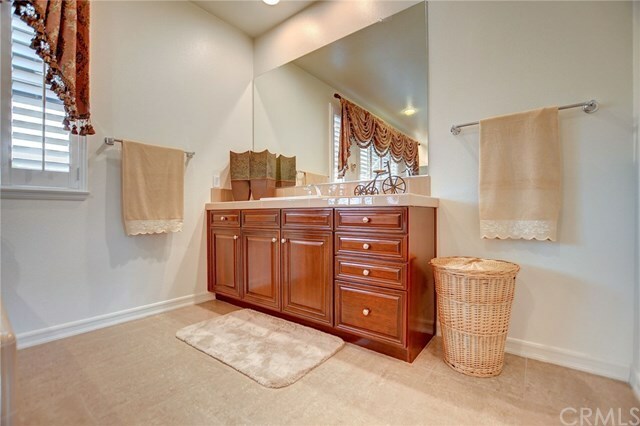 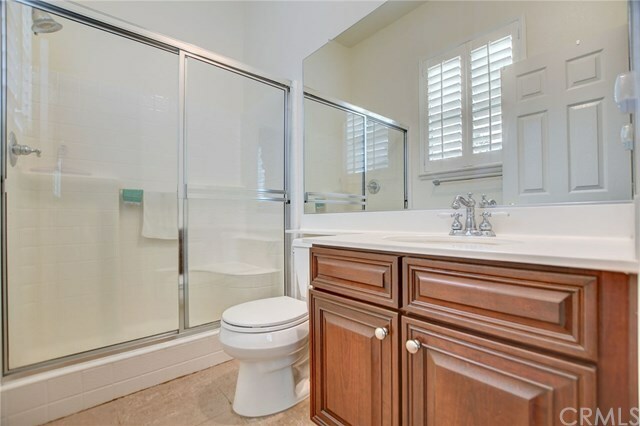 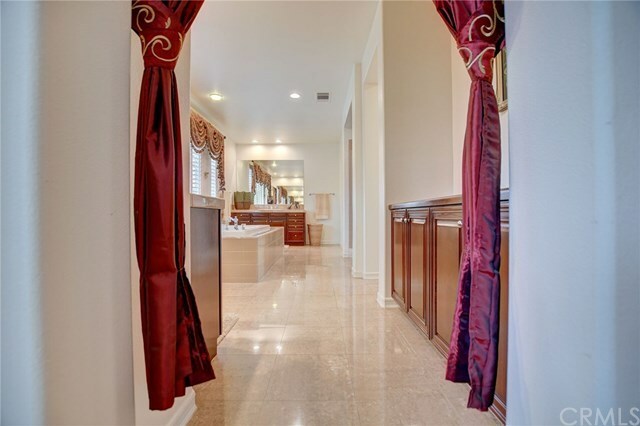 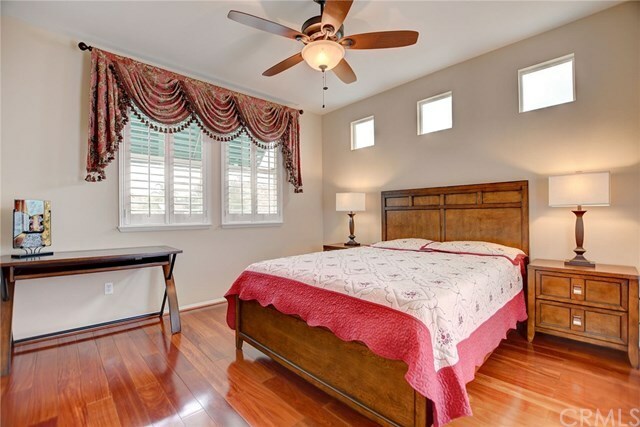 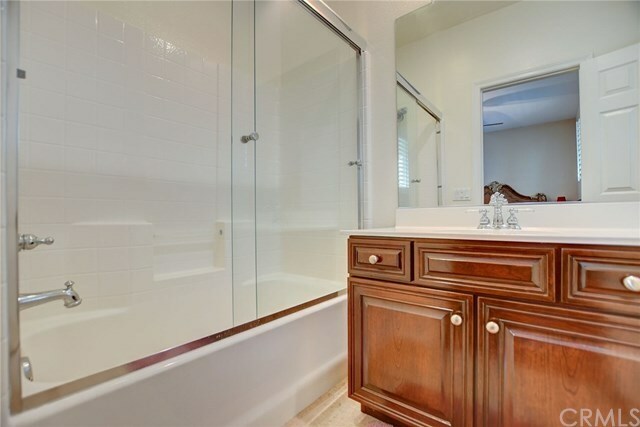 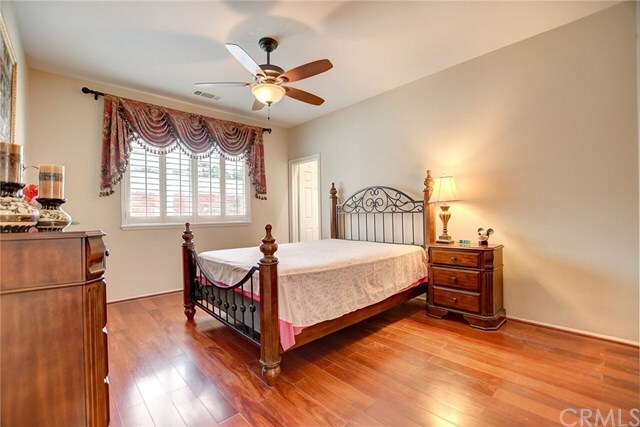 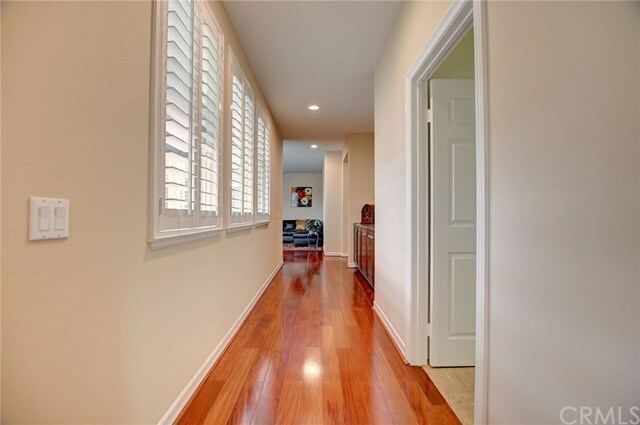 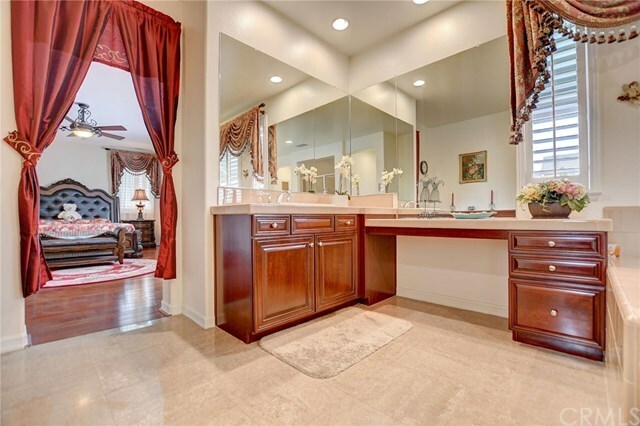 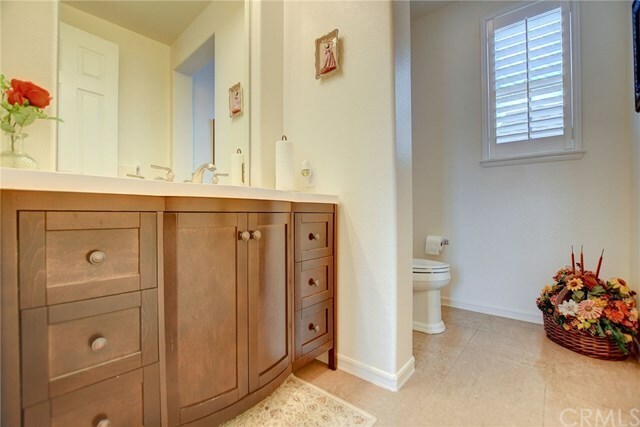 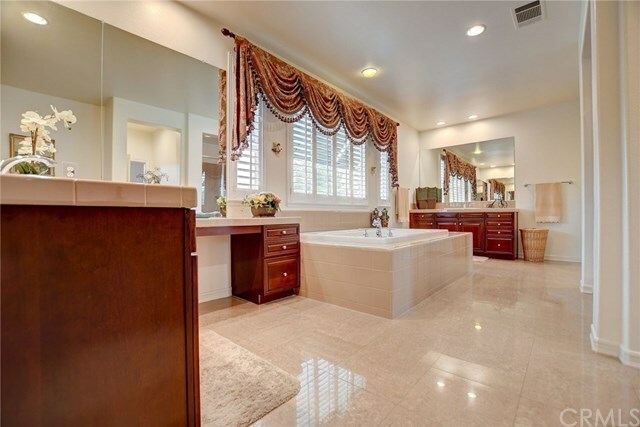 Perfect Master Bathroom awaitsâ¦His and Her vanity, walk-in closets, a deep jetted tub, a glass walk-in shower, sparkling tile, marble floors...What else could you need? 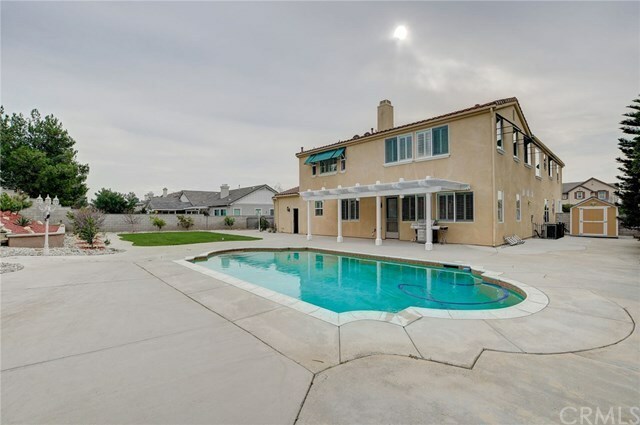 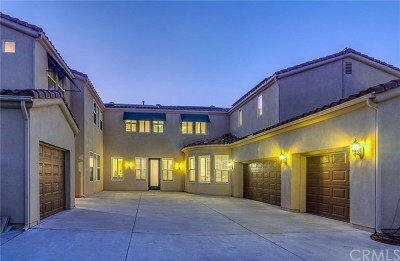 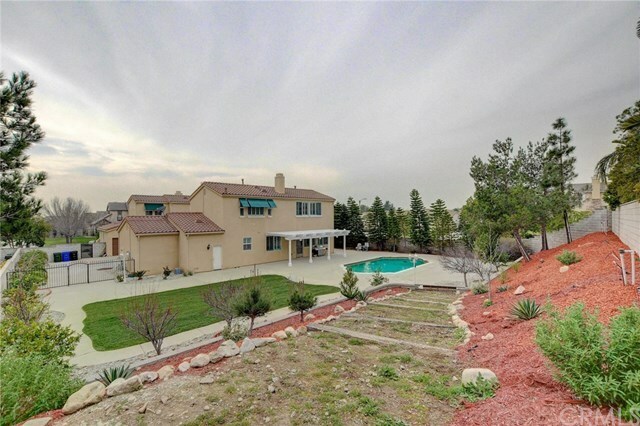 Finally, come outsideâ¦great place to host pool parties & BBQâs. 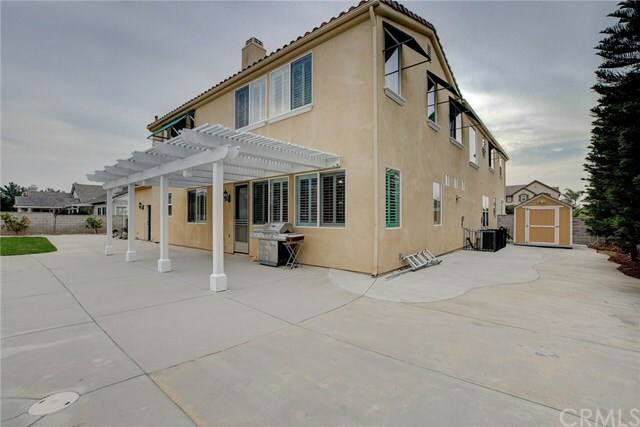 Dine Al fresco under the patio cover while enjoying our California weather. 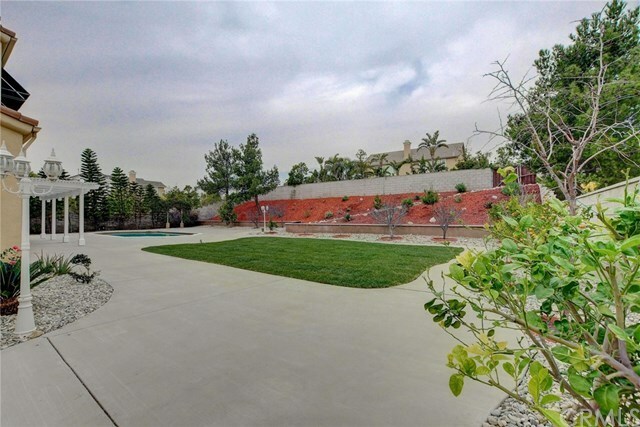 Raised planters & fruit trees of lemon, orange, apple, peach, pear, persimmon, plum & apricots. 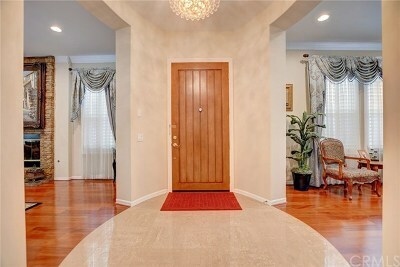 Come & fall in love!